Thank you very much for your support, we have organized the 10th Social Welfare Activity at Coconeri in the Nerima district. In the midst of hot weather, we sincerely thank you all for participating and sharing the valuable experience and advice to us all. Social welfare activity is one of the Company’s volunteer activities. In order to establish a good social welfare environment, I believe that the social welfare activity is indispensable. In each region, it is the most important to start taking the first step. We think that it is important to work regularly with other members in the area, to set up a forum for exchanging of views and sharing of experience. This shall provide valuable benefits to your area. 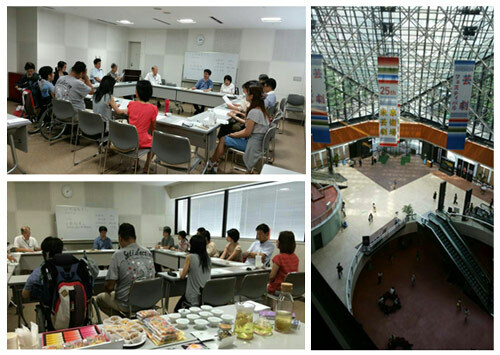 We completed another volunteer event – a social welfare activity. Although the number of attendees was small, the social welfare speech was very deep. Even when the seminar was toward the end, the participants still kept asking Mr. Kobayashi meaningful questions. Some of the questions were related to parenting and education. Lots of opinions were exchanged during this activity. Thank you very much for participating in this activity and sharing this meaningful time with you all. Thank you all so much for participating in this activity. 30 people attended and they had eagerly exchanged their opinions. This time, we invited a special speaker, Mr. Kinoshita from Education Development Center of Kanagawa, who successfully built a social welfare in Zushi city. 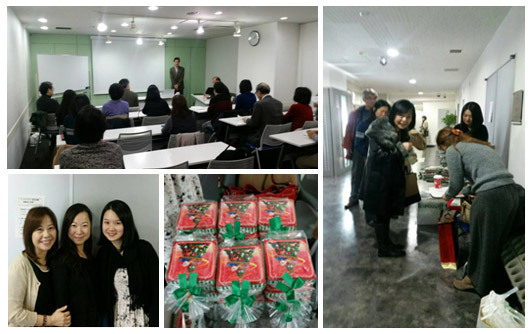 Three years ago, our company joined with University professors, started to organize a regular social welfare seminar. 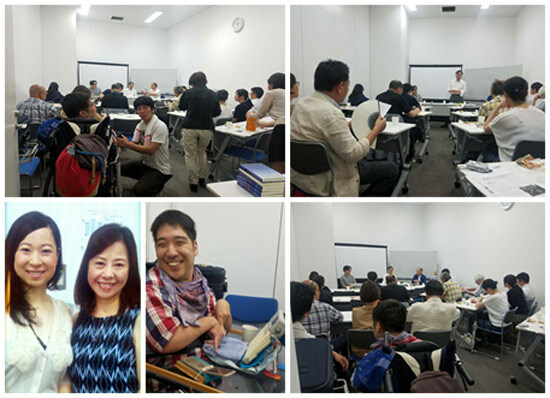 Together with professors (active and retired) who have extensive experiences domestically and internationally, we discuss the topic of how to improve Japanese society. Recently, in addition to senior experienced people, a lot of young people come to attend the seminar as well. We are hoping that foreigners and people in all area could also join us to discuss this topic. 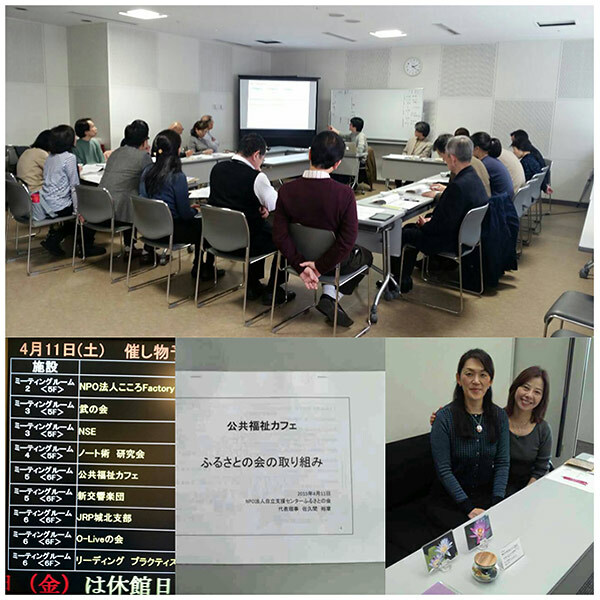 On April 11th, we successfully organized this social welfare seminar. Everyone's cooperation and support are most appreciated. Good country, great society, solidarity spirit, quality of life, etc., we all absolutely agree that the public social welfare is mandatory. I also believe that without a perfect public social welfare, it is difficult to become a good country. With my personal experiences in various public welfare abroad, I look forward to working hard together with you all to devote to the development of Japan. 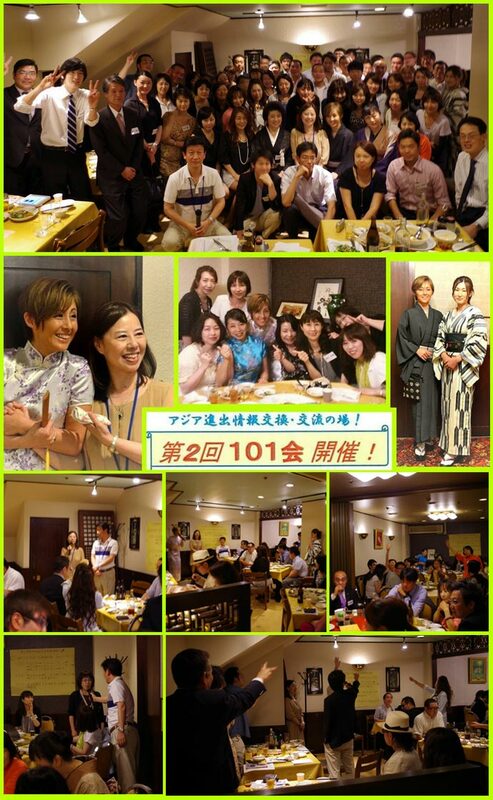 The second "Taiwan 101 Party" was organized on June 21, 2014. 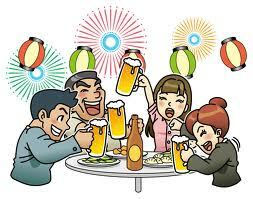 As of the first party, it was held on Saturday evening, while there were 75 participants this time. Again, thank you all the participants. Unless everyone supports and helps, this event would not have been so successful. From now on, we will continue to strengthen the relationship between Japan and Taiwan. We will do our best to build up the friendly bridge between the two. Those who are interested in Taiwan and Asian market, those who would like to travel to Taiwan either for pleasure or for work, please do not hesitate to contact us, we will do our best effort to serve you and your group. Meanwhile, we sincerely look forward to seeing you again in the next event. 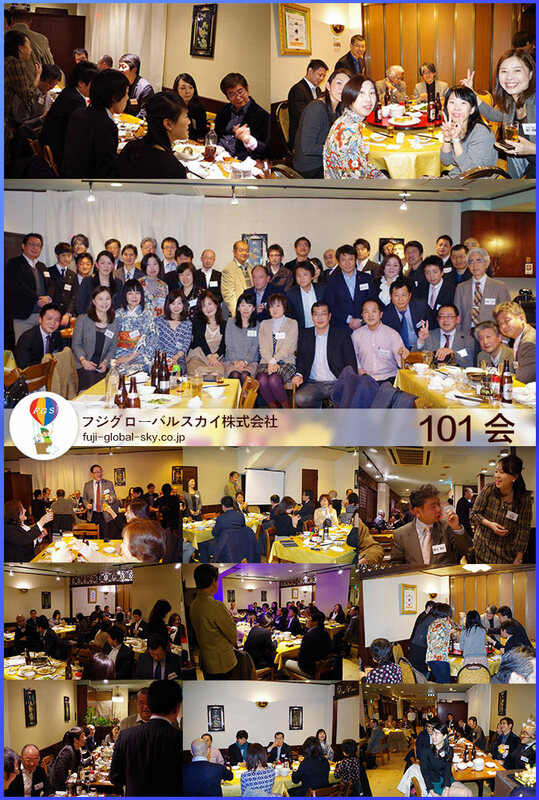 Although it was held on Saturday night, there were more than 60 guests participated, we were really grateful to everyone. The success achieved primarily by everyone's support and help. From now on, in order to deepen the friendly relations between Japan and Taiwan, we will work hard to serve as a bridge of friendship between Japan and Taiwan. We sincerely look forward to everyone’s participation again next time. This event size is limited, so please let us know as soon as possible if you are interested in attending. Once reached its maximum capacity, we will close subscription. (Second from left) 20 years ago, YUKA-San, who immigrated to Japan from Taiwan in order to return the huge debt of mother who failed in business, received a number of helps from many Japanese friends. Eventually, she was able to return all the debt. To show the appreciation to those who helped her, she would like to devote herself to Japan society. I have a chance to meet Yuka-san in Bangkok and below is a note to this interview- "Really hoping to repay those Japanese warm-hearted people's favor and kindness, and also, strongly hoping to recover great Japan those days like more than 20 years ago"
Why don’t we, who are interested in the cultural exchange between Thai and Japan, come and meet Yuka-san in person at this event? ※ Left most is Nagaoka-san, a counselor to support the legal problems of Thai people in Japan primarily. Right most is Mori-san, Thai national, who runs a computer school in Bangkok. They both help Yuka-san in this event. The Second Poppasansan @ Bangkok had drawn a big crowd of those who are interested in Thai-Japan cultural exchange. 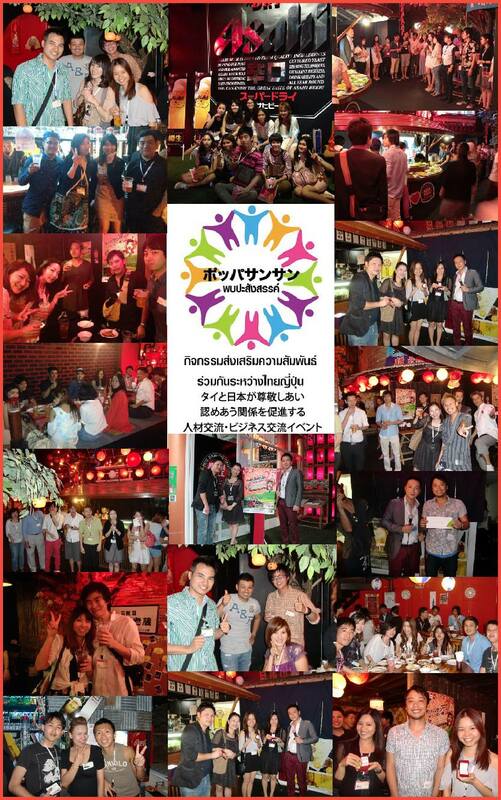 Thanks to the support from Asahi, Thonglor Asian Ville Restaurant which provide us the venue, CPoint Thailand, DACO, TOPA Language School, Wise Weekly Magazine, and especially, to all the people who join us that evening, this event is a great success. Thank you very much! 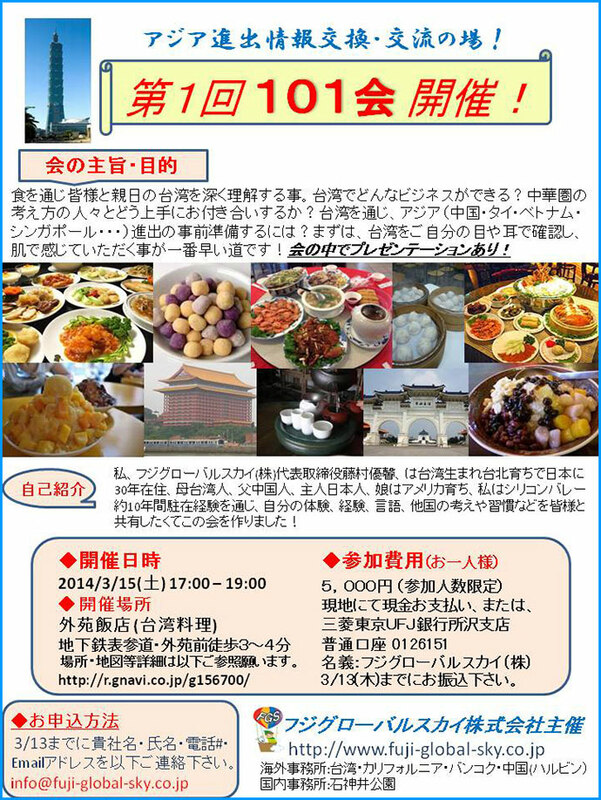 This is a cultural exchange event that connects the people of Japan and Thailand. 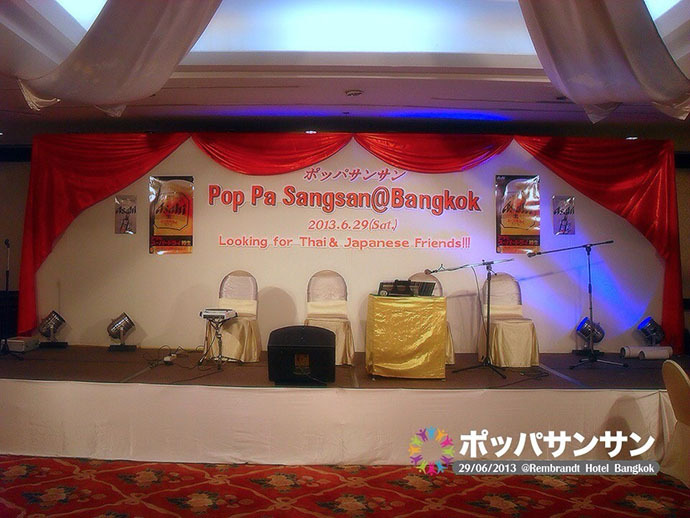 The next "Poppasansan" will be held on a regular basis around Tokyo and Bangkok. Please wait for our announcement for the next event date and venue! 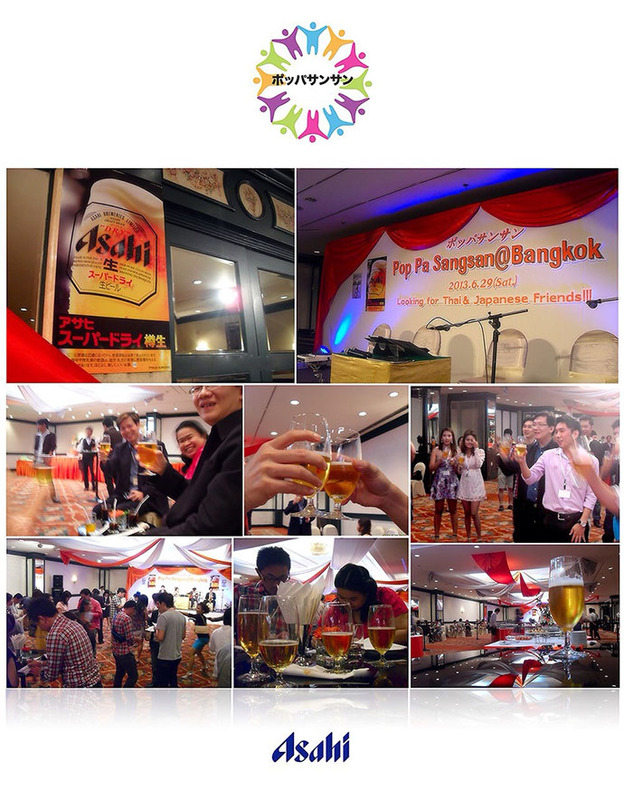 Nov 9-10, 2013, the 2nd Pop Pa SanSan @ Thong Lo St. Asian Ville, Bangkok, THAILAND. The homepage of this event is live, there is an interesting and exciting video clip, please visit the homepage to view this clip. If you are interested in attending this event individually or in small group, please contact us. We provide the travel service from Japan to Bangkok. For those who have never visited Bangkok before, it’s a must-make trip! In order to make this visit, I visit a local school in the village of Minamata, Kumamoto Prefecture. During this trip, I made several new friends, enjoy delicious cuisine and enjoy the beautiful sea and mountain nature. The hospitality from the local people, the taxi driver, etc. really impressed me. Minamata left me a good memory! With my limited capability, nevertheless, I hope for the prosperity of the Minamata town and will continue to put my effort in building Minamata together with all the local people! From the experiences with friends and acquaintances during this trip, I hope to help Minamata by setting up a friendly bridge between Taiwan, and Thailand! Please join and support me! I will make the greatest efforts! Mountains, sea and rivers · · · At Minamata, there are many nature children can develop the power of spiritual growth. 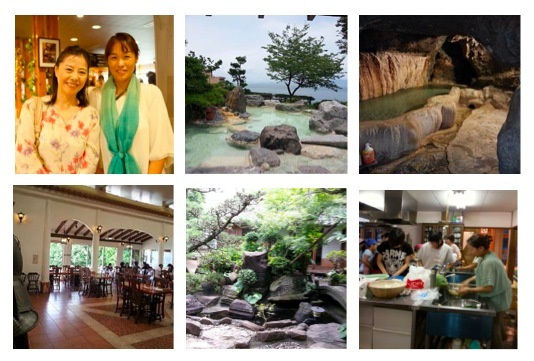 “Minamata Summer School 2013” In natural surroundings, let children experience the sight, the touch and personal feeling · · · These courses that are through the five senses, can cultivate children's survival forces, a rural version of summer camp. The food education program uses the food material found in Minamata and neighboring area. It is taught by expert teachers with certificate holder. They will guide the students with basic learning. Let’s overcome the weakness and improve the student’s skill during the summer! Enjoy the play, enjoy the natural experience, and enjoy the food, while studying. 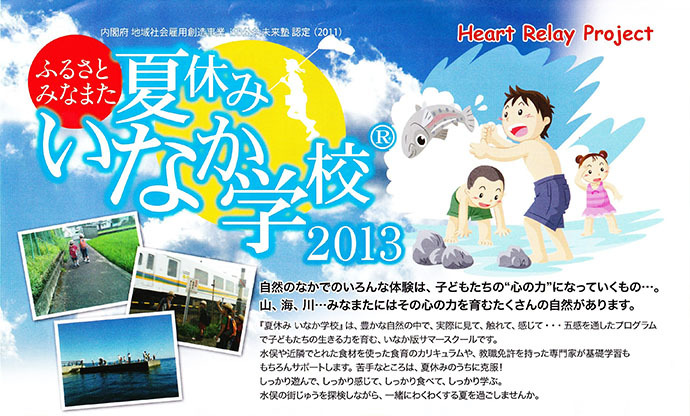 Let’s adventure in the streets of Minamata and spend a happy summer together.